"The Lord always saves his people"
It seems to me that we always introduce a dangerous distortion when we make false dichotomies, making things falsely either/or instead of both/and. Here's a question that occurred to me in light of the Holy Father’s insight- Is the door of new life Christ opens for me, the door of the Church? If the best definition of grace is God sharing divine life with us, then that seems like a good answer. The life of God, who is Father, Son, and Spirit is triune, communal. God is communion of persons, albeit divine persons. The Church is also a communion of persons, if sometimes all too human persons, but people in the middle of our sanctification. 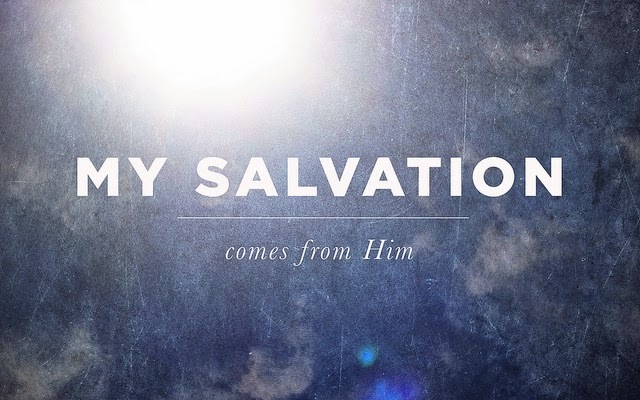 It is impossible to achieve sanctification on our own. As God shows us - one person is no person. The Gospel, the good news that is Jesus Christ, is both personal and social at the same time, unavoidably and indispensably so. For example, personal sexual morality (i.e., chastity, or lack of it) impacts society at large. Nothing brings this home more than the nuclear effects of the so-called “sexual revolution” on Western society. 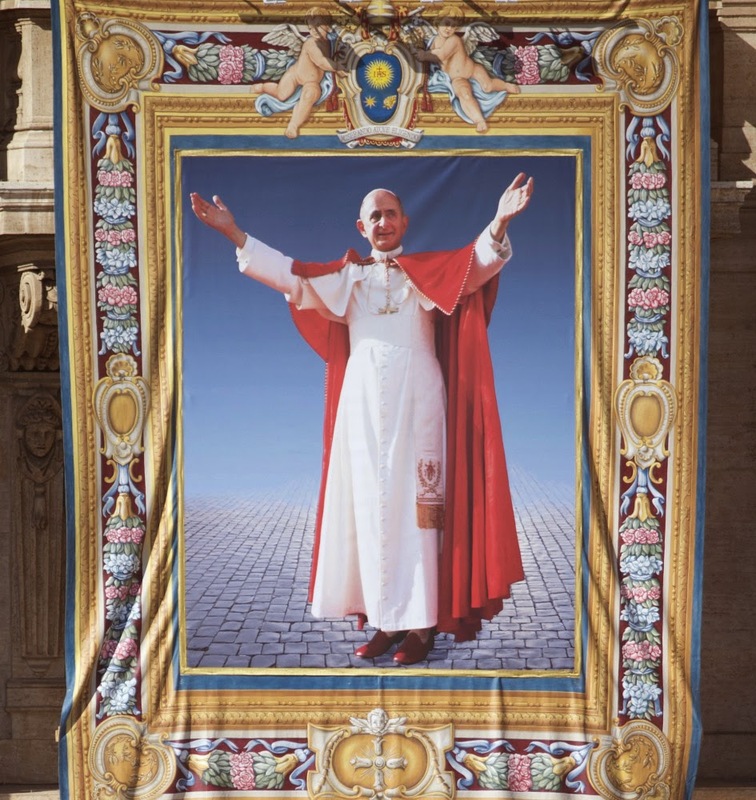 That the Gospel is both personal and social simultaneously is demonstrated powerfully in what I have termed the “triptych” of the unique papal magisterium of Bl Pope Paul VI, which consists of his encyclicals Populorum progresso and Humanae Vitae, along with his Apostolic Exhortation Evangelii nuntiandi. "The disease of the self runs through my blood"
For our traditio today we stay in the realm of contemporary Christian music (CCM). There is perhaps no genre of music that is more pilloried than that of contemporary Christian. Given the vastness of CCM and some of the really terrible tunes it produces, this is understandable. But then isn't that true of virtually any genre of music? People are often fond of pointing to an episode of King of the Hill ("Reborn to be Wild") in which Hank Hill, confronts a "totally rad" guitarist for a local Christian rock group, observing: "Can't you see you're not making Christianity better, you're just making rock and roll worse?" It's a funny episode and a great line, one that made me laugh when I watched it. However, it is not an undercutting argument against CCM in its entirety. In fact, this is not even the point the episode seeks to make, really. What Mike Judge, a very wry cultural commentator and the creator and force behind King of the Hill (also Beavis and Butthead) really took aim at was something Andrew Root addressed in a recent article for Christianity Today, "Why Your Millennial Outreach Needs a Bit of Bonhoeffer: Millennial anxiety sabotages attempts to engage the next generation. Dietrich explains why." Bonhoeffer said youth ministry is first and foremost a theological task. It is not a sociological or cultural task or a church growth strategy. Of course, there are sociological and cultural factors to consider when ministering to youth. But Bonhoeffer would argue that youth ministry is first and foremost about the encounter of the divine with the human. Being a Christian is about nothing apart from being a disciple of Jesus Christ, that is, someone who endeavors to live in communion with Him and form his/her being by trying live life according His teachings, no matter if you are 15 or 95. In the First Letter of John we read: "If we say, 'We have fellowship with him,' while we continue to walk in darkness, we lie and do not act in truth. But if we walk in the light as he is in the light, then we have fellowship with one another, and the blood of his Son Jesus cleanses us from all sin" (1:6-7). Charlie was also featured in a previous Καθολικός διάκονος Friday traditio- "Living in front of God." As someone who grew up as a member of the Church of Jesus Christ of Latter-day Saints (i.e., Mormon) and who, as a young adult, converted and became Catholic, I try not make this on-line endeavor a Mormon apologetics forum. In truth, there are enough of those, even good ones, who do an effective job. However, as a former Mormon who still lives in Utah and who keeps his finger on the pulse of contemporary Mormonism, I think (hope) it's valuable from time-to-time to offer my unique perspective on matters concerning Mormonism. Until Gordon B. Hinckley became president of the Mormon church in 1995, Mormons focused almost exclusively on what makes them different, unique, and preferable to what we might call historic Christianity in any and all of its forms (i.e., Catholicism, Orthodoxy, or all strands and strains of Protestantism). At root, this focus revolves around some very foundational Mormon claims, particularly what they call "The Great Apostasy." According to Mormons, sometime shortly after the end of the apostolic age, the Church founded by Christ and His apostles deviated from true Christianity. These deviations, over time, continued to grow deeper and deeper, as well as to multiply in number. Of course the Mormon belief in The Great Apostasy presumes almost utter ignorance of the early Church Fathers, especially the so-called Apostolic Fathers, men such as Polycarp of Smyrna, Ignatius of Antioch, Clement of Rome, Papias of Hieropolis, not to mention documents like the Didaché and the Shepherd of Hermas, as well as Ireneaus of Lyons, Justin Martyr, etc. It also requires a fairly superficial reading of several of St Paul's letters. While, according to this view, there were attempts here and there, such as the Protestant reformation, to restore authentic Christianity, the true Church established by Christ and the Apostles was absent from the earth. 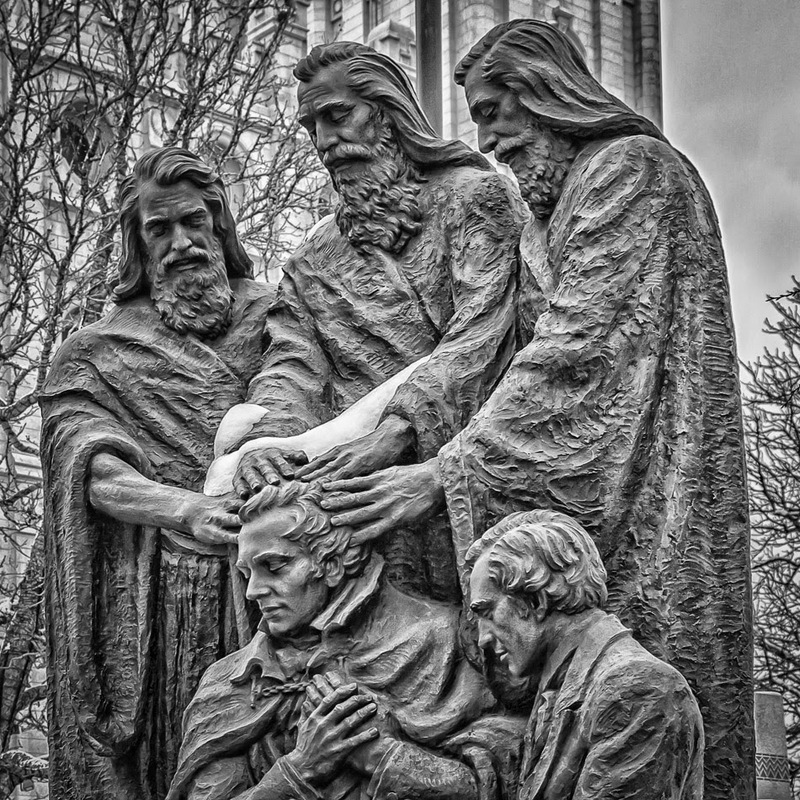 From the Mormon perspective it was Joseph Smith Jr. who restored the true Church after it having been absent from the earth for the vast majority of time between Christ's coming and the nineteenth century. For the past twenty years, however, Mormons have focused more on insisting that they are Christians, like Catholics, Orthodox, Lutherans, Anglicans, Methodists, Presbyterians, Baptists, etc. So it is refreshing these days when someone in leadership in the Mormon Church, someone who is what they call a "General Authority" (i.e, a member of the First Presidency, Quorum of the Twelve Apostles, First and Second Quorums of the Seventy, or the Presiding Bishopric) sets about to tell the truth about Mormon distinctiveness vis-à-vis historic Christianity. So I appreciated very much reading a brief article in the Mormon Church-owned Deseret News about a presentation given earlier this month by Bishop Gérald Caussé, who serves as Second Counselor in the Presiding Bishopric, to new Mormon mission presidents and visitor center directors. The bottom-line-up-front comes from the end of the article: "Investigators [those considering becoming Mormons and being taught by proseltyzing missionaries] must understand that a universal apostasy occurred after the deaths of Christ and His apostles; otherwise, there would have been no need for a Restoration." This dovetails nicely with the beginning of the article, which cites Caussé as insisting that "The Church of Jesus Christ of Latter-day Saints is not just another Christian Church, but rather it has unique elements that are essential to the salvation of mankind." In between Caussé is reported as teaching that there are "three essential truths conveyed in three major events associated with the Restoration." First, "the vision of the Father and the Son experienced by the Prophet Joseph Smith in the spring of 1820" (see "Latter-day quandry and resolution"). Second, "the translation of the Book of Mormon." Third, "the restoration of priesthood keys and ordinances by heavenly messengers." I don't post this to be contentious or even really to argue, but simply to demonstrate, prior to any subsequent discussion, the objective differences between Mormonism and Christianity as handed on and practiced throughout its history. I think it's terribly important to be honest and forthright about our objective differences. Such honesty is the only way to have meaningful interaction. There certainly are points of contention and disagreement among Christians. But when compared to our collective differences with Mormonism, these differences (i.e., the nature and structure of the Church, authority of the Church, sources of revelation- Scripture only, or Scripture and Tradition?- sacraments, justification, the relationship between faith and works, etc.) are quite narrow. Among Christians Catholic, Orthodox, and Protestant there is no dispute about the triune nature of God, who is Father, Son, and Holy Spirit, or that the Holy Bible is what constitutes Scripture (even if some accept the Deutero-canonical books as inspired and some do not), or even that the Church of Christ was given irrevocable authority ("the gates of the netherworld [/hell] shall not prevail against it" Matthew 16:18) to act in the name of Christ, especially as it pertains to baptism, the Lord's supper, and handing on the truth of the Gospel and has existed on the earth since its establishment. Once again it bears noting that the question, "Are Mormons Christians" is the reddest of herrings. By their own account, Mormons are the only true Christians. This is borne out by the fact that everyone who becomes Mormon must be baptized, even if they were previously baptized "in the name of the Father, and of the Son, and of the Spirit," even if s/he was baptized by immersion after having reached the age of reason. Besides in the official account of Joseph Smith Jr's "First Vision," in which God the Father appeared to him in bodily form, thus revealing that even God the Father "has a body of flesh and bones as tangible as man's" (Doctrine & Covenants 130:22), the Father says these words to Smith in answer to Smith's question about which church he should join: "I was answered that I must join none of them, for they were all wrong; and the Personage who addressed me said that all their creeds were an abomination in his sight; that those professors were all corrupt; that: 'they draw near to me with their lips, but their hearts are far from me, they teach for doctrines the commandments of men, having a form of godliness, but they deny the power thereof'" (Joseph Smith History v 19). "The kingdoms of this world will soon before Him fall"
Our tradito this Friday is Brother Glenn Kaiser singing "We Shall See the King," an old Gospel song about the Lord's return. I selected this not to stoke any sort of weird end-time mania, but to help us focus on God's kingdom today, which we are to be engaged in ushering in because from the first coming of Jesus, to quote N.T. Wright, "the kingdom of God is for earth now." While firmly setting forth the inherent immorality of contraception, the Holy Father noted, in his characteristically frank manner, that Catholics are not required to breed "like rabbits." Rather, he insisted that Catholic couples should practice "responsible parenthood." I am amazed at the number of Catholics who remain suspicious, or downright critical, of Humanae Vitae who have no familiarity with Bl Paul VI's encyclical. It may surprise many to learn that an entire section of this relatively brief encyclical is entitled "Responsible Parenthood." All Pope Francis did in his remarks was to clearly convey the teaching handed-on in Humanae Vitae to the effect that Catholic couples are not morally obligated to have as many children as they are physically capable of having. In reality, Pope Francis was merely clarifying ends and means. How many children result from a particular marriage and how far those children are spaced are matters for the couple to decide. However, one may not employ immoral means to attain what may well be a moral end (i.e., one may not do evil that good may come of it). Probably the biggest myth about using the various forms of NFP is that it requires requires heroic virtue in terms of abstaining from marital relations for those couples who either temporarily or permanently do not aim to conceive. For the vast majority of couples, it simply does not. It seems to me that Pope Francis has been very wise concerning sexual matters from the beginning of his pontificate by insisting the Church's teaching on various aspects of human sexuality need to be kept in context for a variety of reasons, not least among which is to avoid the absolutist tendencies of those on the polar extremes. Pope Francis, in his remarks, pointed to another aspect of Humanae Vitae, one that took aim at policies like China's "one child" per couple goal. His specific reference was to African bishops who pointed out that seeking to solve certain problems on that continent often amount to making contraceptives (i.e., condoms) widely available, what the Holy Father referred to as "ideological colonization." As usual all this amounts to is the further confirmation that Pope Francis is Catholic. The pope being Catholic is hardly newsworthy. I urge you, especially if you have never done so, follow one of the links in this post and read Humanae Vitae. It seems that Western society is breaking apart fast. It seems to me like much of the progress we made 45-50 years ago is being been rolled back. Rather than building a civilization of love, which, by its nature brings people together, we've become more broken up than ever before, largely due to the identity politics that followed closely on the heels on the Civil Rights movement in the United States. I think it's a grave error to assert that our current state-of-affairs is the logical outcome of the Civil Rights movement. 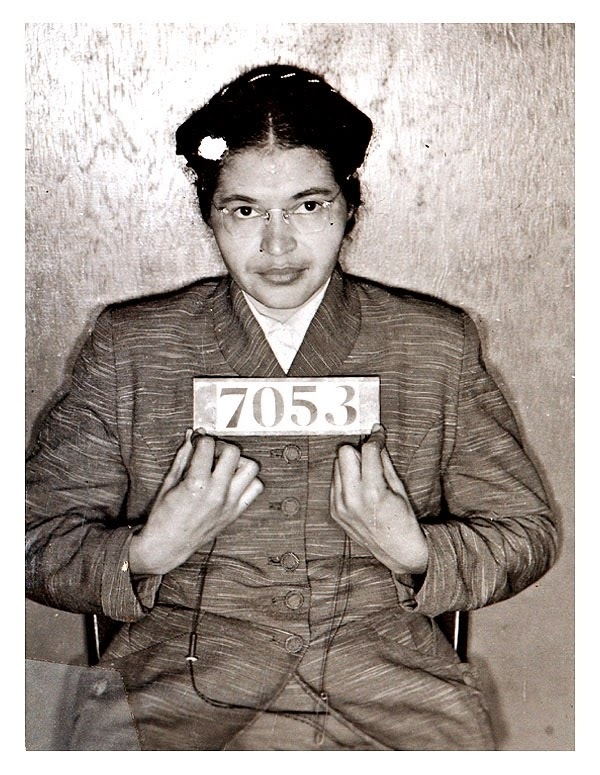 On the contrary, the breaking up of our society into various identity groups, which often falsely claim to be "communities," is the anti-thesis of what courageous people like Rosa Parks and Dr Martin Luther King, Jr were about. 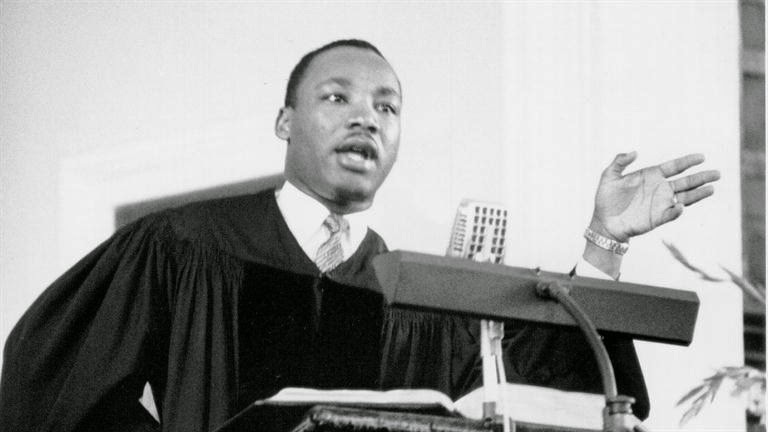 In his magnificent "I have a dream" speech, Dr King said, "With this faith, we will be able to hew out of the mountain of despair a stone of hope. With this faith, we will be able to transform the jangling discords of our nation into a beautiful symphony of brotherhood." Human brotherhood, solidarity, the breaking down of what separates us one from another, these are the goals. Nonetheless, for the better part of the past 40 years we have been busy doing the opposite, especially as we exalt the individual, seeking to free her from all bonds, especially those of family, thus denying not only the importance, but the necessity of the common good for human flourishing. Take for example the terroristic murders of 12 people in Paris and the reaction to it, which was nothing if not ironic. In the wake of this evil many people rallied in solidarity with those who were gunned down, even as the surviving contributors to Charlie Hebdo publicly despised people who claimed Je suis Charlie. While violence is never a justifiable response to the crude provocations routinely published in magazines like Charlie Hebdo we must recognize that such people scoff at the idea of the common good, at solidarity, at societal responsibility, and have little or no interest in building a harmonious society, which does not preclude the public discussion and debate of important matters, like the influence of religion on society, especially in a pluralistic society. Let's not be blinded by ideology. It is possible, at one and the same time, to denounce and strongly oppose violence as the solution to pointless provocation and point out the puerile and destructive nature of certain kinds of discourse. In other words, let's be smarter than merely resorting to the employment of slogans. For me, Je ne suis pas Charlie. 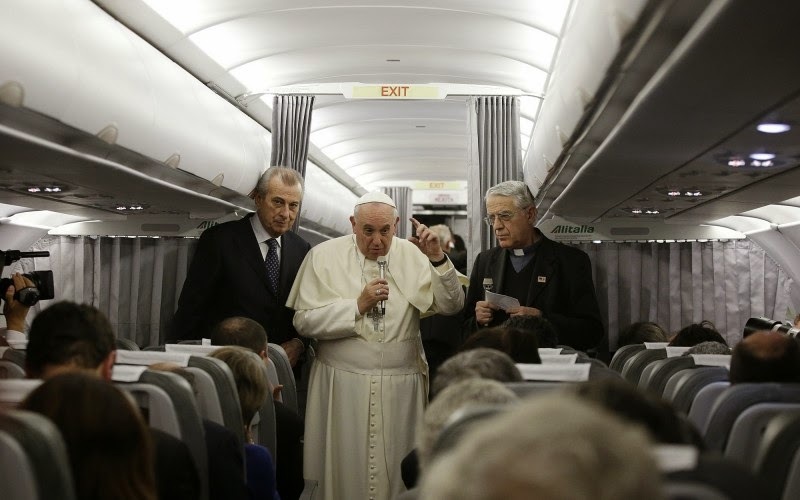 During his in-flight press conference on the way to the Philippines, Pope Francis said this about the Paris attacks, "There are so many people who speak badly about religions or other religions, who make fun of them, who make a game out of the religions of others. They are provocateurs." Most people who reflexively buy into all the "I am Charlie" nonsense have no idea the level debasement Charlie Hebdo engages in, it is offensive to anyone with a civic sense whether they believe or not, whether they adhere to a religion or not. What they do facilitates nothing, it is not in the service of the common good, the reality of which they actively deny. Rather, it is all done in the service chimerical "individual liberty," which, at root, is nihilistic. As Pope Francis went on to say, violence is never an appropriate reaction to such provocations, but, as his example of someone making fun of his mother (i.e., our reflex is to punch), provoke people enough in terms of what really matters to them, seek to alienate, despise, dis-empower, and who knows what will happen? The long and short of it is that you can't really pine away for a lost sense of community and human solidarity while actively supporting those whose self-determined mission it is to destroy community and exalt the individual. Somehow, I think the late editor of Charlie Hebdo could've managed not to live like a dog without publishing a cover of the Blessed Trinity sodomizing each other, or depicting the prophet Muhammad as a phallus. If what it means not to live like a dog is to treat those with whom you disagree in an inhuman manner, then you're simply confused. All of this without even touching on Ferguson or New York City, which have been flashpoints of racial tension in the U.S. recently. Given all of the recent violence and racial tension here in the U.S. and abroad, given the atomization and fragmentation of Western society in general, given our natural propensity to stick with those who are like us in most every way, let's heed Jesus' healthy provocation, given in His parable of the Good Samaritan (Luke 10:25-37), and truly embrace the spirit of this day in honor of all those who, often at great sacrifice, sought to break down these barriers. "It's all I wanna sing to you"
Our Friday traditiois Aracely Bock's song "Say Your Name" from her 2013 album Let It Go. I chose this song to help us through what I find to be perhaps the most difficult month of the year- January. I don't know about you, but 2015 is off to a rough start for me. Nonetheless, this is good news because the great need that constitutes both my humanity and my identity leads me to engage reality as it is, which leads me to acknowledge the need that I am. This rough beginning is what is preventing me from posting with more regularity. Nonetheless, as I have learned over time, when it comes to blogging as I practice it, quality trumps quantity. A better way to phrase "the need that I am" is simply to acknowledge that I am beggar. To use the late Brennan Manning's descriptor, I am a ragamuffin. It also bears noting that the word "companion" refers to one with whom bread is shared. My overarching resolution for 2015 is simply to draw closer Jesus Christ. All of my other resolutions are specific ways and means to this end, which only Christ Himself can really bring about. My part is but to cooperate.I am blessed because I feel that this is very much His initiative towards me. I am simply trying respond. So, I am currently reading Dallas Willard's Renovation of the Heart: Putting On the Character of Christ. From there I'll move to Willard's The Spirit of the Disciplines: Understanding How God Changes Lives, then I plan to re-read Richard Foster's Celebration of Discipline: The Path to Spiritual Growth, followed by Foster's Prayer: Finding the Heart's True Home. An ambitious, but achievable and rewarding set of goals. After that, I plan on re-engaging with some of Eugene Peterson's writings, which means finally finishing Christ Plays in Ten Thousand Places: A Conversation in Spiritual Theology. Why am I posting all of this? I can think of a couple of reasons. First, people are always asking me, "What are you reading?" This is my present answer to that question. Second, it helps to share resolutions in order to have some accountability. Third, to invite you to learn from these practitioners of The Way, who have taught me so much (not that any of them would likely relish the thought of claiming me as a student). I suppose it may strike some as odd that none of these guys are Catholics. If you're familiar with their work, however, the seeming oddness dissipates. I agree with the late Dallas Willard that Christians today simply lack sound spiritual formation. Lack of spiritual maturity is what ails the Church (I refer here to "Church" in the broadest possible sense) most in every age. 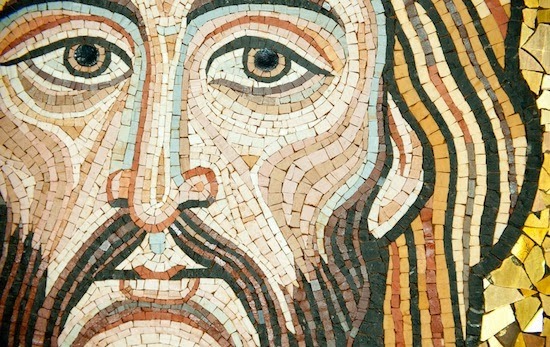 If we don't take seriously being conformed to the image of Christ, then it is no exaggeration to say that everything else we do is kind of pointless. Practicing the spiritual disciplines is what makes us Jesus' disciples. Aracely's song reminds us that Christ does, indeed, play in ten thousand places, Gerard Manley Hopkins so powerfully observed in his poem "As Kingfishers Catch Fire." We need each other to be transformed, especially those closest to us. It's the grace of God working in us and through us that make our relationships perhaps the primary means of being transformed into Christlikeness. The late Dallas Willard wrote- "Grace is not opposed to effort, it is opposed to earning. Earning is an attitude. Effort is an action." Therefore, the spiritual disciplines, practiced with the proper attitude, constitute the effort, that is, our cooperation with God's grace. James Kushiner stated this very well when he observed, “A discipline won’t bring you closer to God. Only God can bring you closer to Himself. What the discipline is meant to do is to help you get yourself, your ego, out of the way so you are open to His grace." It is silly to believe that you "do" something for God so that God will give you something (i.e., what you want) in return. Such an approach would constitute an attitude of earning. Besides, the idea that God will ever be in your debt is beyond ridiculous. Think on it - What else could God do for you that He hasn't already done in and through Christ Jesus? "Whate'er the cost I’ll bear the cross"
Even with everything going on in the world, I am ushering in the New Year by letting things lie fallow. Plus, I've started 2015 with the flu, which turned into some serious sinus issues, all of which has left me feeling pretty tired and overwhelmed. In other words, things don't stop when you are ill and wait for you to get better, but such is life! I am blessed and not complaining. 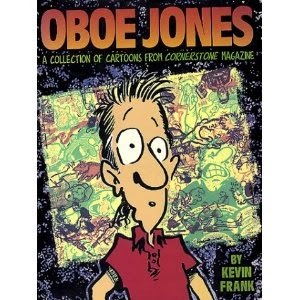 Towards the end of my illness last Saturday, I discovered cartoonist Kevin James' "The Oboe Blog: For Anyone Who Still Remembers." I am happy to say that I am someone who remembers Oboe, Claymore, Eugene, Gloria, Alice, Apoplexy, Margo, Bill, Tuber and the band, Pastor Neil, et al. "Oboe Jones" was published in the magazine of Jesus People USA, Cornerstone. Here's the strip that perhaps best describes my existence lately, "The 6 o'clock Snooze." All of this produces in me a longing for discipleship, for community, for life, which, at least in my view, means it is good. So today begins a new year. 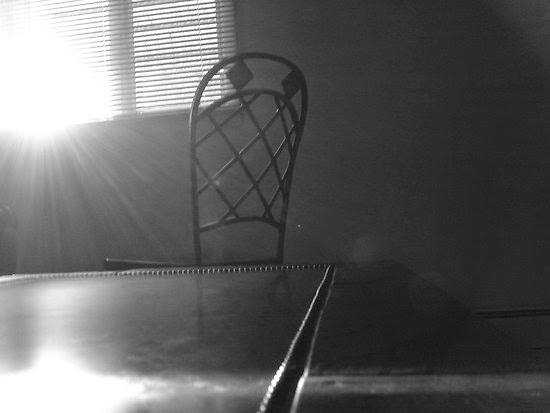 Philosophically-speaking, time is a function of change. Particularly as I get older I realize that time is of limited quantity, which means opportunities to change, or let myself be changed, are limited too. 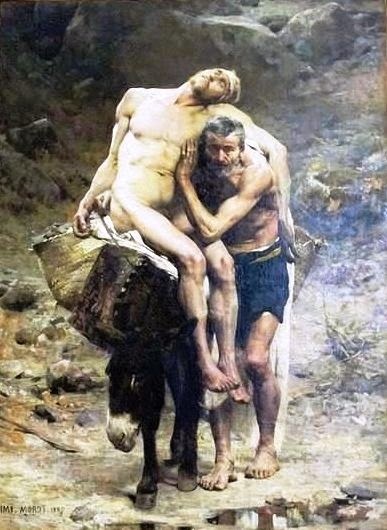 We're reminded of this in the liturgy throughout Advent, when kept hearing St Paul tell us to awake from our slumber, to start living the new life, the eternal life, given us by God, through Christ, in the power of the Holy Spirit through our baptism and strengthened through confirmation. I hope among the resolutions most of us have made spending more time in prayer, doing some form of fasting, of self-denial, on a consistent basis, attending Mass more regularly, and going to confession with some, or greater, regularity are included. I don't start 2015 here on Καθολικός διάκονος with anything terribly profound, or earth-shattering. I will turn 50 later this year, which is a sobering thought for me. 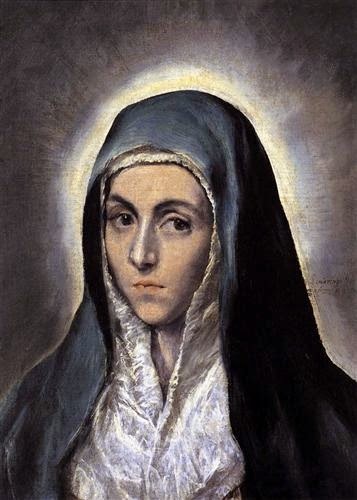 Today's lovely solemnity, the Solemnity of Mary, the Mother of God, the day which the church, at least for the past forty-eight years, also observes our annual World Day of Peace. It is customary for the Supreme Pontiff to issue a message for the World Day of Peace. This year is no different. In his message for this year, entitled "No longer slaves, but brothers and sisters," Pope Francis, who has proven a tireless advocate for peace since becoming pope. The title comes from St Paul's wonderful, if very short, Letter to Philemon (see 1:16). Despite myself, I still find New Year a time of hope, a time of new possibility, a time to wake from my slumber. Holy Mary, Mother of God, as we embark on this New Year, pray for us, pray for peace among us.